Three outrageous drag-queens* cook up an explosive brew of treachery, ambition and passion, setting an Asian family off on a path of bloody self-destruction. 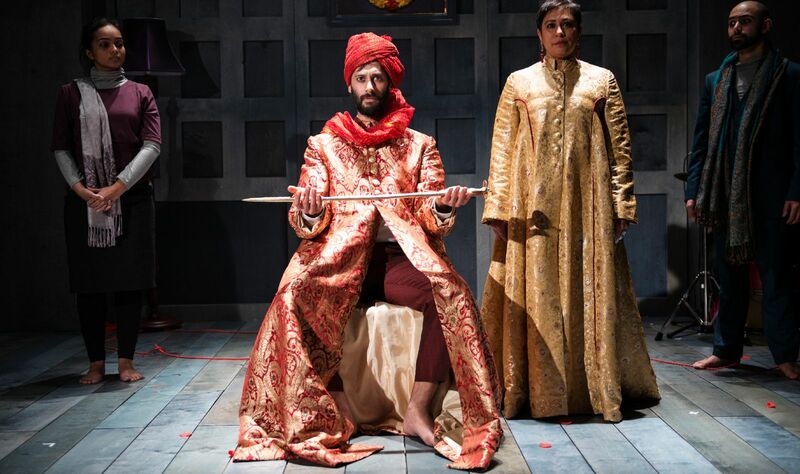 Tara Arts brings Indian movement and music to Shakespeare’s text, offering a powerful contemporary take on his darkest play. With Robert Mountford (Much Ado, RSC, Silent Witness) as Macbeth and Shaheen Khan (Rafta Rafta, NT, Bend it Like Beckham) as Lady Macbeth. Black Theatre Live is a pioneering national consortium of 8 regional theatres led by Tara Arts, committed to effecting change nationally for Black, Asian & Monority Ethnic touring theatre through a sustainable 3-year programme of national touring, structural support and audience development. Black Theatre Live is a partnership of Tara Arts (London), Derby Theatre, Queen's Hall Arts (Hexham), the Lighthouse (Poole), Theatre Royal Bury St. Edmunds, Theatre Royal Margate, Stratford Circus Arts Centre (London) and Key Theatre (Peterborough).